Gamers like me have an affinity for pixel art as we grew up with it, nostalgia is a wonderful thing and we don't need to apologise for it. Pixel art itself was born out of necessity, this economy of design came about due to the various technical limitations but often where there are limitations that is where creativity prospers and thrives. 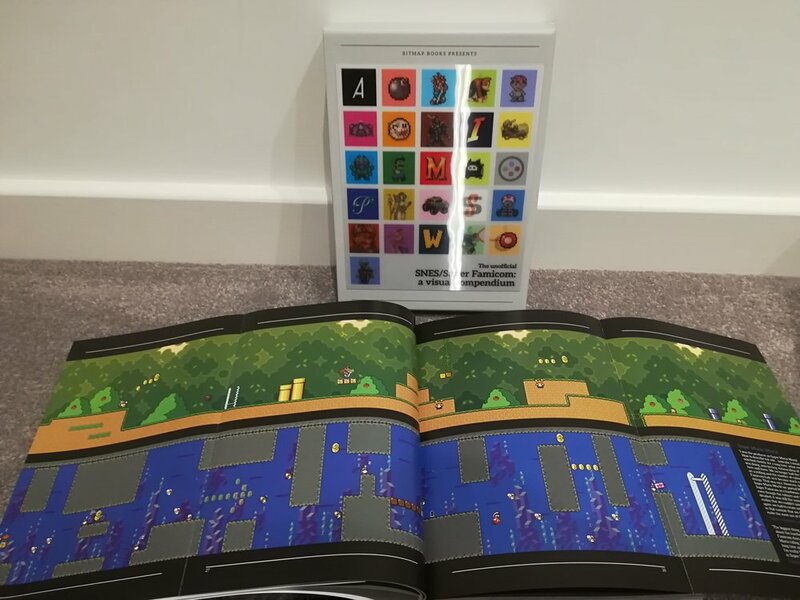 Over the last few years there has been a boom in quality books celebrating retro video game culture, including pixel art. 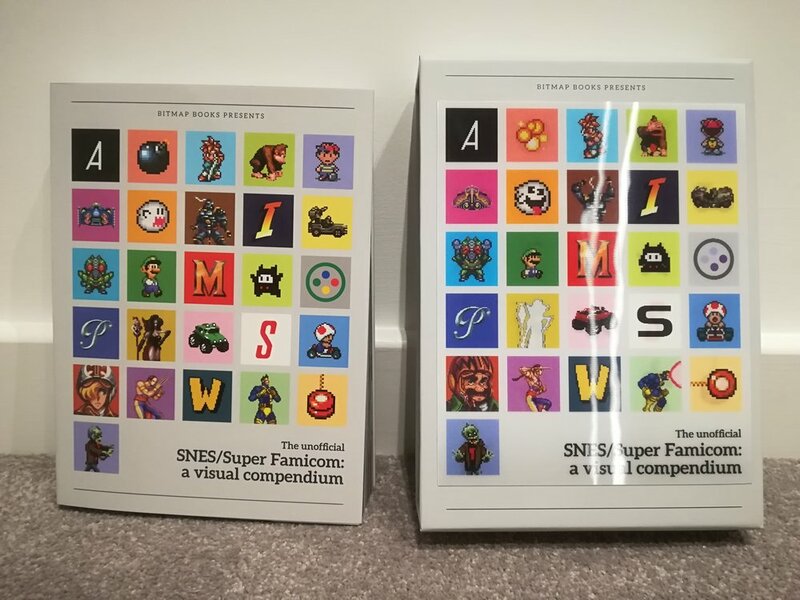 Bitmap Books, one of the most profilic and consistently excellent producers of such books, have just released what is arguably the console which showcased the peak of pixel art... we are, of course, talking about the might Super Nintendo Entertainment System (the Super Famicom as it was known in Japan or the SNES to Brits like me who like to abbreviate everything). However what of the book itself? Well, the entire package is a thing of beauty as it comes coming protected in a tough slipcase with a snazzy lenticular cover. The book itself is a snug fit and has a spot varnish cover which gives it a feel of real class. The pages themselves are vivid and brightly coloured and make no mistake, this is a weighty tome with high quality paper that feels great to the touch. 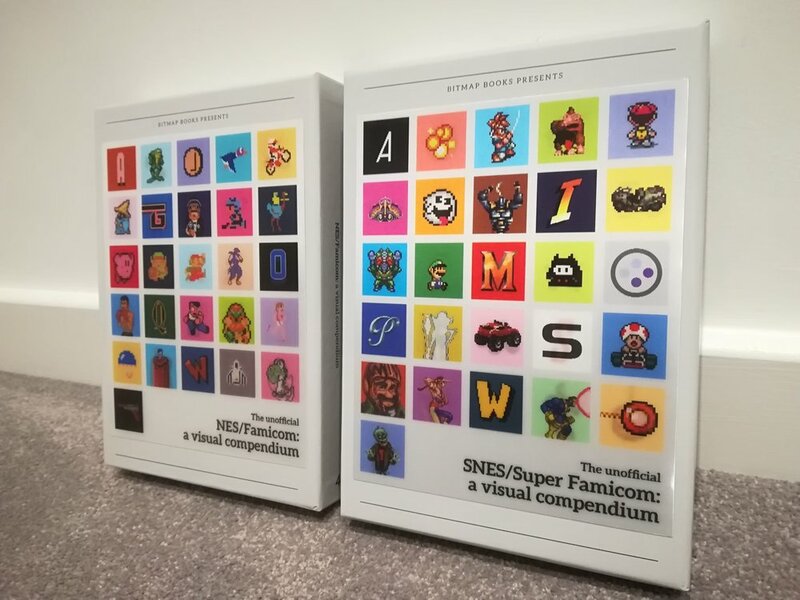 Over the course of 529 pages the SNES/ Super Famicom: A Visual Compendium showcases the very best pixel art and box art. 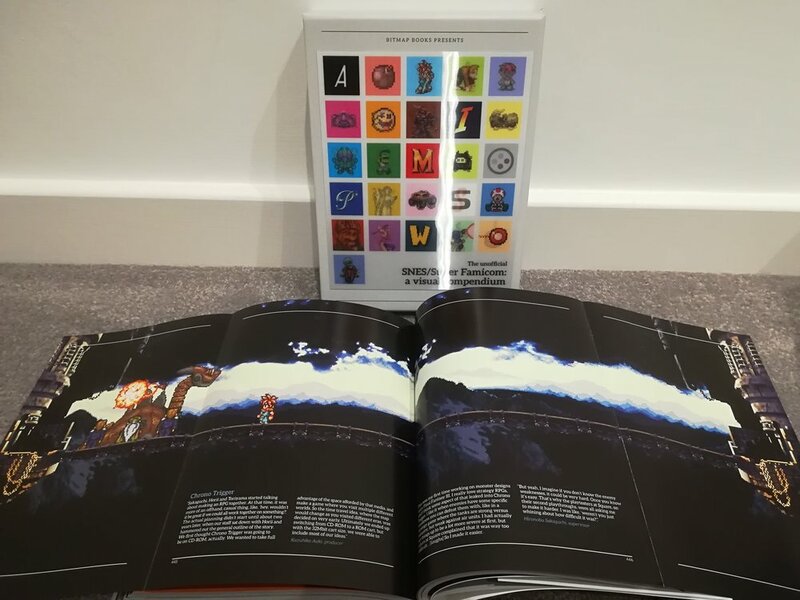 The book features over 100 classic games, with articles from leading developers, interviews with key figures in the industry and mini-features on subjects such as homebrew games, unreleased games (including the very recently released Starfox 2) and company profiles. 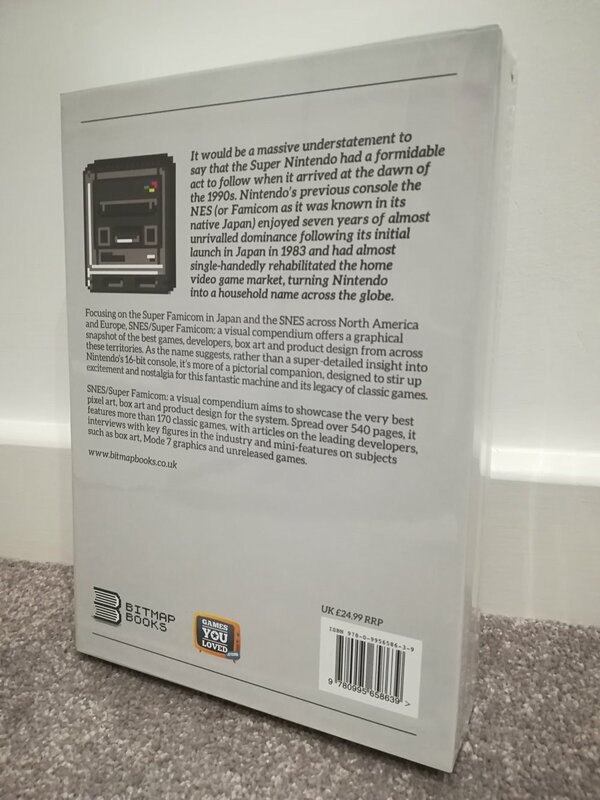 This all sounds great, and it is, but a real highlights are the occasional fold-out sections on games such as Street Fighter 2, Super Mario World and Chrono Trigger which showcase the beautiful pixel art in all its stunning glory. 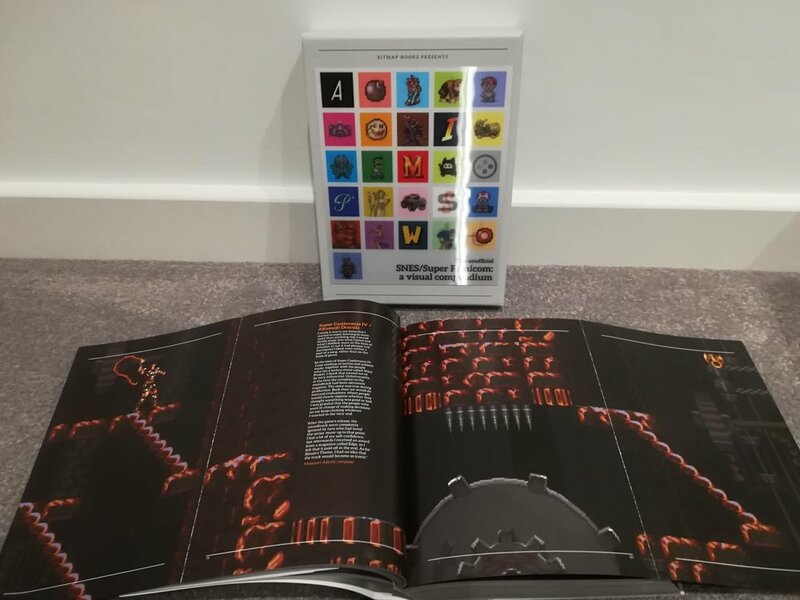 The interviews with creators, programmers and various people involved in the industry gives real insight in small 200 word mouthfuls that break up the artwork nicely, offering a look inside the industry at the time. 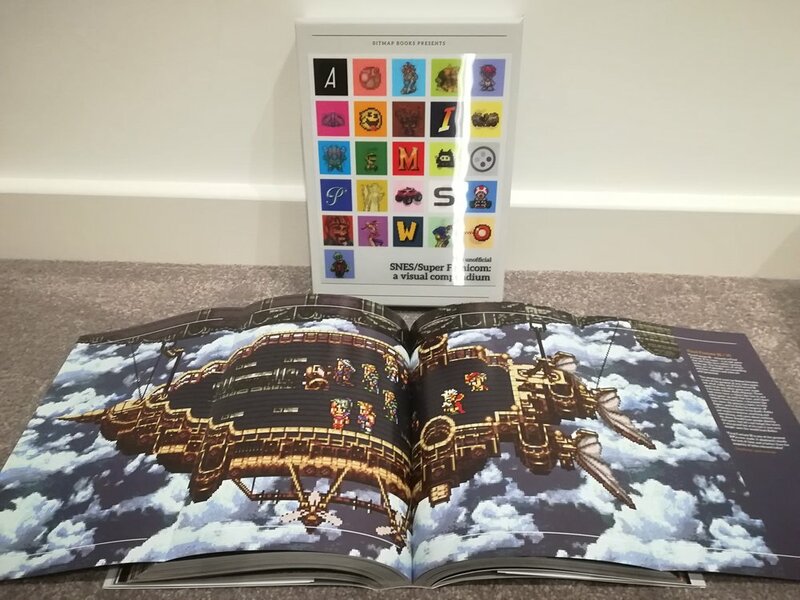 The compendium is another excellent addition to the Bitmap Books roster of video game art books and it well worth the price. Buy it now as you won't be disappointed!